The New Statesman’s Exclusive report: Are the media racist? 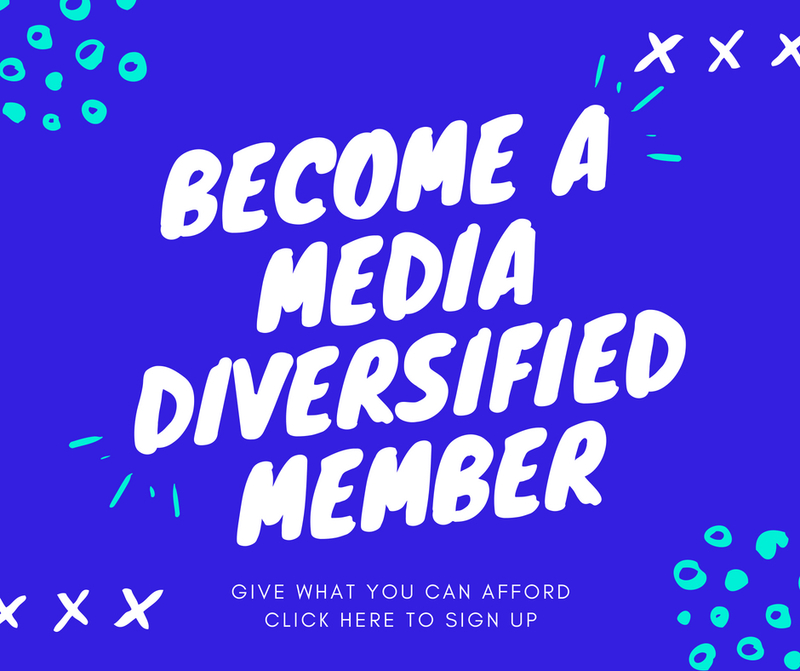 To coincide with a special report on race in the British media the New Statesman magazine compiled (sadly, not so) shocking statistics which showed ethnic minorities are still largely absent from opinion pages, senior executive roles and staff jobs in the media. For context: figures published by the Office of National Statistics for 2009 showed the non-white population of England and Wales stood at 16.7 per cent – or one in six people. 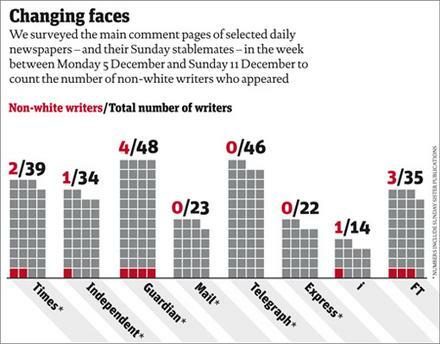 We surveyed the main comment pages of selected newspapers in the week between Monday 5 December and Sunday 11 December to count the number of non-white writers who appeared. What have the following five individuals got in common: Gary Younge, Hugh Muir, Yasmin Alibhai-Brown, Amol Rajan and India Knight? They are part of a small group of non-white newspaper columnists who appear regularly on the comment pages of our national newspapers. Well, OK, not quite. They are the small group of non-white newspaper columnists who appear on those comment pages. That’s it. There’s just five of them – the Guardian‘s Younge and Muir (both black), the Independent/i‘s Alibhai-Brown and Rajan (both Asian) and the Sunday Times‘s Knight (mixed race). It is a deeply depressing state of affairs. Thanks to deputy editor of the New Statesman Helen Lewis for allowing us to reproduce parts of their report here.